CHRGIS provides a repository for survey data and aerial photography for beach restoration sites located along bay and Gulf shorelines. In addition to beach nourishment (adding beach quality sand to the beach) some beach restoration projects include dune construction, planting of vegetation (to stabilize the dune) and shore protection (coastal structures such as groins, articulated mats etc.). CHRGIS can be applied to demonstrate the inter-relationships between coastal processes, coastal structures, shoreline change and the performance of shore and habitat restoration projects along the Texas Coast. In addition, CHRGIS provides an accessible archive of pre- and post-storm survey data that is required to apply for FEMA emergency renourishment funding. TCOON, is a unique network of scientific data collection platforms used to amass critical data pertaining to wind and water — essential data to anyone who lives or works near the Gulf coast. A confluence of federal, state and local governmental entities in partnership with academia, TCOON is that rare combination of tax dollars at work to provide a service that benefits all sectors of society, including commercial interests, recreational wind surfers and anglers, research scientists, and public officials responsible for environmental and public safety. The pooling of resources and funding to support TCOON reduces the financial burden of a single sponsor, while making the most of available funds. The Conrad Blucher Institute’s Regional Geospatial Modeling Program is conducted in partnership with the University of Southern Mississippi, the Alabama Department of Transportation and the Florida Department of Transportation and focuses on the continued enhancement of the National Spatial Reference System adjacent to the northern coast of the Gulf of Mexico. The project provides the foundation for geospatial modeling along that part of the nation’s coast which provides the largest economic return on investment and which is most exposed to inundation from tropical storm surge. The Packery Channel Monitoring Program was initiated by CBI during the summer of 2003. This baseline study was conducted in anticipation of construction activities. The monitoring program was initially sponsored by the Galveston District USACE and the Coastal Inlets Research Program (CIRP), including the Coastal Hydraulics Laboratory (CHL). Monitoring has continued at seasonal intervals in the support of Research-based management by the City of Corpus Christi since the City assumed sponsorship in 2008. Nueces Bay is located between Nueces and San Patricio counties of Texas and connected to the northwest corner of Corpus Christi Bay. Nueces Bay is supplied with freshwater inflow from the Nueces River which flows into the bay from the west portion of the bay, forming an estuary which is home to a diverse population of fish and shorebirds. CBI has been monitoring Nueces Bay salinity since 1991. The Texas Inlets Online (TIO) website was developed to provide a comprehensive information dissemination access point for those interested in information related to inlets along the Texas coast. Wind, waves and current act as forcing mechanisms driving sediment transport along the Gulf Coast. Changes in morphology at inlets and adjacent beaches can be observed seasonally as well over longer intervals to determine trends and influence maintenance practices. CBI, in collaboration with NOAA (CO-OPS) developed a mobile phone app which utilizes NOAA’s hydrodynamic model predictions for the Houston-Galveston ship channel. The project’s goal is to use available mobile technologies to make the predictions easily accessible to the navigation pilots operating in the channel. CBI developed a model to predict water temperatures in the middle and upper Laguna Madre. This is a joint project with the Coastal Conservation Association (CCA), Texas Parks and Wildlife and the Gulf Intracoastal Canal Association (GICA). We have water temperature predictions for two locations so far, Bird Island Basin and Rincon. 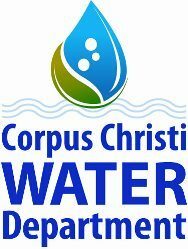 The City of Corpus Christi Water Department and the Conrad Blucher Institute have been monitoring weather conditions throughout the city of Corpus Christi since August 2008 in order to gain a better understanding of the effects weather conditions will have on the watershed and water distribution system. In an effort to better understand the long and short-term dynamics of the Oso creek tributary, the City of Corpus Christi Water Department and the Conrad Blucher Institute began monitoring the water level in Oso Creek in June 2013. Three water level monitoring stations are located throughout the city of Corpus Christi. With the expanding population and the growing demand for water supply, it is becoming increasingly crucial to monitor and understand the physical and biological dynamics of our freshwater resources. The City of Corpus Christi Water Department and the Conrad Blucher Institute have been monitoring water quality in the Nueces River since September 2012 to better understand the water quality leading to the city of Corpus Christi water supply. With initial funding from the Coastal Bend Bays and Estuaries Program and the Corpus Christi Yacht Club, the Conrad Blucher Institute provides continual real-time weather data for local mariners, fishermen and sailors for Corpus Christi Bay. Two weather stations, located in Corpus Christi Bay and at the Corpus Christi Marina, provide wind speed, wind direction, air temperature and barometric pressure. A kiosk is available at the Corpus Christi Boater’s Facility to display information from the two locations. NOAA’s Physical Oceanographic Real-Time System (PORTS®) is responsible for providing real-time oceanographic data to promote safe and efficient navigation within U.S. waters. PORTS® is a decision support tool that improves the safety and efficiency of maritime commerce and coastal resource management through the integration of real-time environmental observations, forecasts and other geospatial information. PORTS® measures and disseminates observations and predictions of water levels, currents, salinity, and meteorological parameters (e.g., winds, atmospheric pressure, air and water temperatures) that mariners need to navigate safely. CBI has implemented / developed a set of models to predict water levels as an aid to navigation in the coastal waters of the Gulf of Mexico and as a tool for emergency management. CBI provides tidal predictions, Persistence Model predictions and Artificial Neural Network Model predictions for the locations along the Texas coast. The Laguna Madre is a bay system located along the Texas coast from Galveston to South Padre between a series of barrier islands and the Texas mainland. Limited freshwater inflow and connectivity to the Gulf of Mexico has historically created dynamic hydrology in the bay system. The National Park Service partnered with the Conrad Blucher Institute in early 2008 to install and maintain two real-time water quality stations located near the Bird Island Basin and near the mouth of Baffin Bay. Water samples are also collected and sent to a lab for nutrient analysis on a monthly basis. Long-term water quality monitoring efforts in the Laguna Madre will give insight into the unique hydrology in the bay system and aid in implementing proper management and conservation strategies. The National Estuarine Reserve (NERR) is a federal program that partners with local and state entities to support research, education and stewardship of coastal marine ecosystems. Under the management of the University of Texas Marine Science Institute (UTMSI), the Mission-Aransas Estuarine Research Reserve (MANERR) became one of 28 NERRs throughout the nation. In 2007, the Conrad Blucher Institute partnered with UTMSI to add real-time telemetry to 5 water quality stations throughout Aransas, Copano and Mesquite Bays in 2007. More information about this program can be found by visiting the MANERR program website. San Antonio Bay water quality monitoring began in January 2004 with an agreement between the Conrad Blucher Institute and the Guadalupe-Blanco River Authority to install and maintain a real-time water quality station in the lower San Antonio Bay. A second water quality station was added in October 2004 near Seadrift, TX. Current data was also added to the station in the lower San Antonio Bay to support a model that will predict the fate of freshwater flowing into San Antonio Bay via the Guadalupe River. The U.S. Fish and Wildlife Service acquired the Bahia Grande, incorporating it into the Laguna Atascosa Wildlife Refuge. The FWS has since initiated the largest estuary restoration project in the United States. Several local, state and federal agencies are working together to re-establish tidal flow, return native species to the wetland, and study the progression of the Bahia Grande. In March 2005, the CBI installed a meteorological station and three water quality stations in anticipation of the re-flooding of the basin. Monitoring of water quality began in Summer 2005, following the clearing of culverts leading to the ship channel and the return of some tidal flow into the bay. CBI conducted a study to find out more about the cause of drownings and near drownings in the surf of the South Texas Beaches. A particular focus of the study was to correlate incidents in the surf zone and meteorological and surf conditions such as the possible occurrence of rip currents. A brief outline of the study and its findings is provided in the draft executive report below. The rest of the study results can be found in the full draft report. Note that this report and its findings are not final and will likely be updated based on the feedback of the study participants and others interested in and knowledgeable about the South Texas coast. With funds from CIAP, UTPA and CBI, conducted 21 hydrographic surveys of the Brazos Santiago Pass and surrounding inlets near South Padre, Texas from November 2012 to November 2013. Raw 3D water current velocity, water current direction, water depth, and GPS coordinates were recorded at one second intervals via an acoustic Doppler current profiler interfaced with GPS. Data from the surveys are available to the public via CBI’s webpage and are intended to serve as baseline data for oil spill planning, navigation planning, and water exchange hydrodynamics. Causeway Island, in Nueces Bay, supports thousands of pairs of nesting colonial waterbirds each year, making it valuable habitat for many imperiled species in the region. The CBBEP collaborated with CBI to install an online streaming video monitoring station in 2014 that will allow public viewing of nesting birds. The online video stream will be used for education, research and to raise public awareness on the critical nesting habitat that is characteristic of south Texas coastlines. CORPUS CHRISTI, Texas –Texas A&M University-Corpus Christi and Texas A&M AgriLife Research have received the state’s first permit to use drones to conduct agricultural research at the Texas A&M AgriLife Research and Extension Center in Corpus Christi. Research will begin soon in the use of unmanned aerial vehicles (UAVs), sometimes called drones, that will help growers improve crop quality and yields while reducing production costs, savings that could be passed on to consumers. 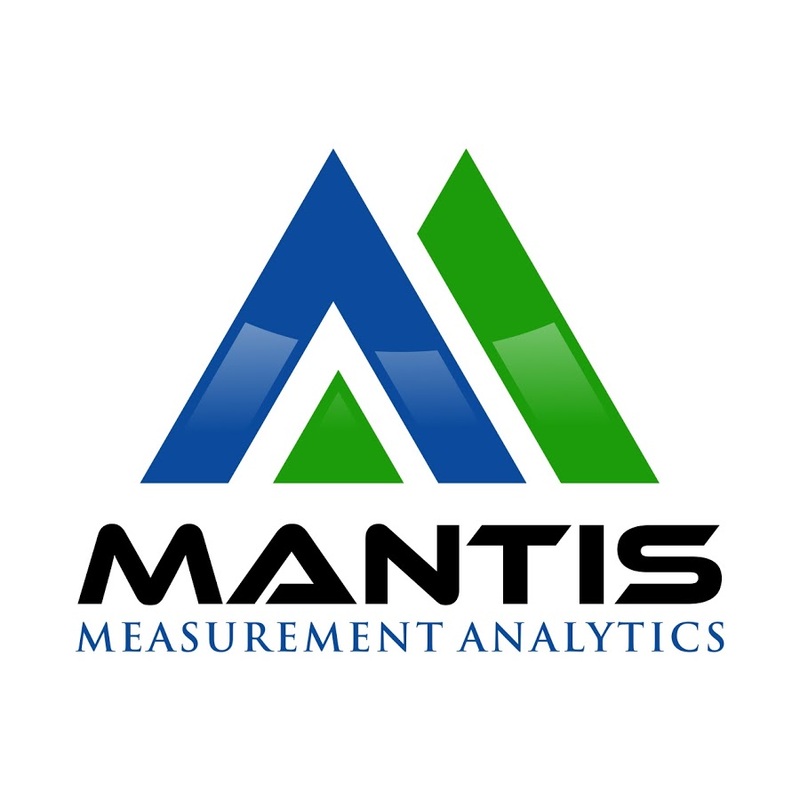 The University Geospatial Services project at TAMU-CC, is part of the Measurement Analytics Lab (MANTIS) in the Conrad Blucher Institute for Surveying and Science. 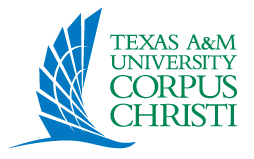 This ongoing project provides land surveying and geographic information systems support for the Texas A&M University Corpus Christi campus. Tasks and services that the University Geospatial Services project provides include: topographic surveys, hyper spatial resolution imagery via small unmanned aircraft systems (Ward Island and Momentum campus), terrestrial LiDAR scans, mobile LiDAR, thermographic mapping and inspection, GIS analytics, and a multitude of other geospatial products that assist with the facilities and operations of the island campus of Texas A&M University Corpus Christi.